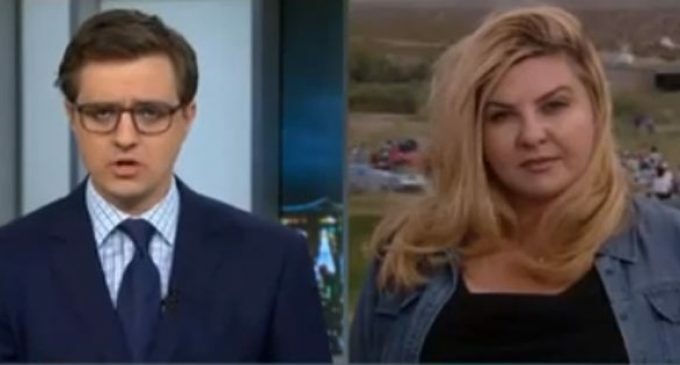 Assemblywoman Michele Fiore handled the MSNBC host in this video interview like a champ! While people gathered at Cliven Bundy’s ranch in protest of the BLM’s handling of affairs there, the protesters were joined by Nevada Assemblywoman Michele Fiore. This prompted MSNBC host Hayes to interview her, and the Scoop captures the video for us. Let’s just say that Fiore wasn’t about to have the conversation steered to any Left side talking points. Government by gunpoint is communism!!!!!!! Roger is paid troll. He certainly knows of what he speaks.